Here’s the Proof of Concept! In March last year it was announced that Katalysis founded the Blockchain for Peer review initiative with partners Springer Nature, Digital Science and ORCID . Less than two months after the announcement both Cambridge University Press and Taylor&Francis joined the initiative. Recently, Karger Publishers joined alongside advisors Wellcome Trust. Aim of the initiative is to test blockchain technology to support the overall peer review process and making an effort towards making the peer review more transparent, efficient and recognisable. Katalysis is developing the platform for the initiative and we’ve now finalised the Proof of Concept to start testing with real data import. Over the last months we’ve developed an implementation on top of our platform on the blockchain backend in which the publishers within this initiative will store peer review data. We develop our platform on top of an Ethereum compatible blockchain, called Ethermint. Ethermint is an implementation of Ethereum built on top of Tendermint. High level, the blockchain consensus engine, called Tendermint Core, and the generic application interface are used from Tendermint. Because of the flexibility of the way the application interface (Application BlockChain Interface (ABCI)) is designed and developed, transactions can be processed in any given programming language. Ethermint uses Ethereum Virtual Machines (EVM), meaning that it has the full capability of writing and executing smart contracts in Ethereum. Keep in mind, the Tendermint Core (i.e. the consensus engine) is Proof-of-Stake, meaning we’re not abusing the environment and consuming huge amount of energy as Proof-of-Work consensus algorithms, a question we are often asked. One stream populates a reviewer’s ORCID profile. This data is Personal Identifiable Data (PID) and falls under General Data Protection Regulation (GDPR). The other stream stores obscured data and relationships between data entities describing a review event on the blockchain backend. The data stored in the blockchain retains the full anonymity of the reviewer’s identity while allowing a reviewer to prove algorithmically that they have performed the review. We store the states of the review and the connection between the manuscript and the anonymised reviewer. When we store data on the blockchain it is only data agreed by the publisher to be public information and unidentifiable information for any person (reviewer) involved. In ORCID we store enough information to show that a reviewer has performed a review in a given time frame for a given journal. We store a way to go back to the review itself and to the record in the blockchain but that is obfuscated and protected through a permission layer. This implies that if you don’t have the key to decrypt or the required permissions you cannot go back to the record on the blockchain and the information is meaningless. Soooo why blockchain to start with?! The initiative aims to improve the overall review process. By allowing parties in the ecosystem to share information around peer review activities, the initiative aims to make the review process more efficient, transparent, and recognizable. The initiative focusses on researching three pillars: (1) recognition around the review process, (2) improve the finding of reviewers by making the whole process more intelligent and (3) the validation of the peer review process. 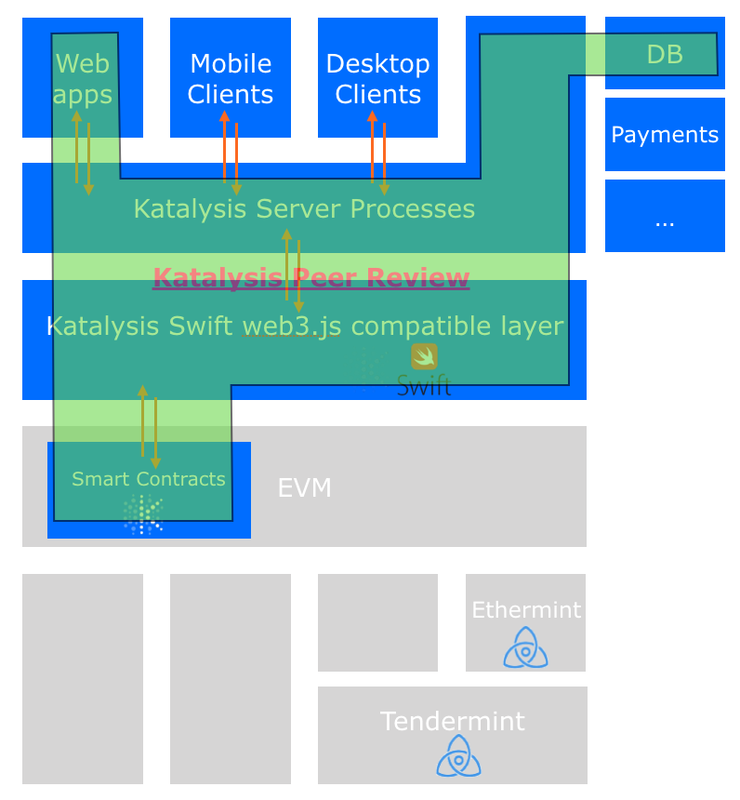 At Katalysis we see three major advantages of using the technology. We design our technology such that we can bring enormous potential operational excellence for publishers to tab into their systems, whilst respecting the current workflows of editors. We standardize the storage of review files across various editorial systems. Also, by storing data as described above on the blockchain backend the blockchain can act as an easily accessible independent source of trustworthy data which improves the overall transparency. 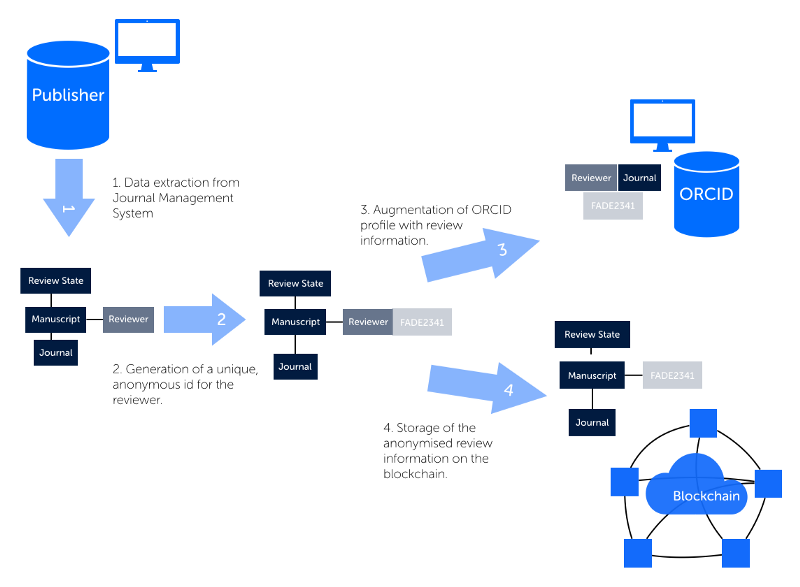 Other parties next to ORCID and members of the initiative such as institutions, third party platforms and reviewers can tap into the data repository and query the data to get valuable insights. Lastly, the decentralised nature of the infrastructure we’re developing means it is not exposed to a central point of control, nor failure. The next steps will be to seed the system with data from more journals. The fun part for us as technology partners is that this allows us to further demonstrate data querying capabilities across multiple journals, or even multiple publisher sources. Whenever we have more to share on this part we will do so of course! If you have any (technical) questions regarding this initiative please contact us directly at hello@katalysis.io. Interested in joining the initiative as publisher, advisor or other interested party? Please have a look at https://www.blockchainpeerreview.org/.